A bear attacked a woman behind her home in Pennsylvania, game wardens said. The black bear dragged the woman more than 80 yards into some nearby woods before she was able to escape, CBS affiliate WYOU-TV reports. The attack happened Wednesday night in Muncy Creek Township, which is located about 16 miles east of Williamsport. Melinda Lebarron was home alone when she stepped outside to have a cigarette and let her dog out, her sister-in-law Lucinda Yoder told the Sun-Gazette newspaper. After Lebarron was able to free herself, Yoder said she crawled back to her house to call a relative for help. 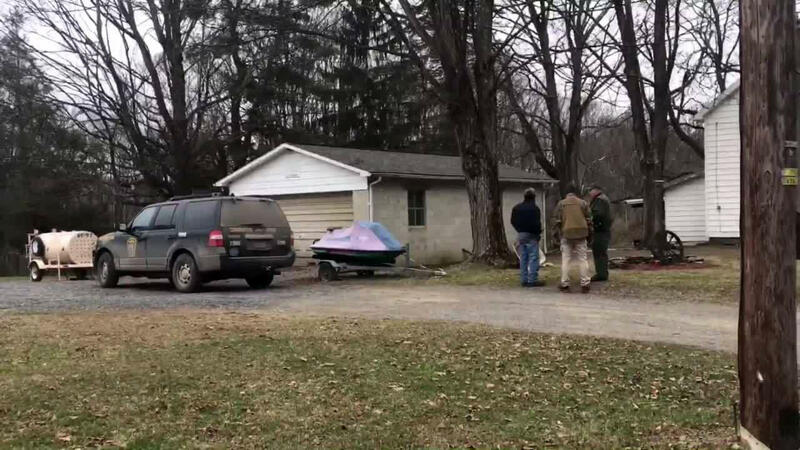 "We're looking into the circumstances of how that occurred, why that occurred and trying to identify the particular bear that may have been involved," Game Warden Kristoffer Krebs told WYOU-TV. The newspaper reports Lebarron suffered broken ribs, a broken collar bone, multiple puncture wounds and a partial scalping. She was in stable condition Friday. Her dog was also injured, WNEP-TV reports. Game Warden Supervisor Mike Steingraber said the bear may have been attracted to deer parts from a recent hunting trip that were left near the home. Multiple bear traps have been set up in response to the attack. If the bear can be trapped, game wardens said it will be euthanized.